Yellow blow molded, high-density polyethylene drum with UV inhibitors. Absorbency per - Up to 10.4 gal. 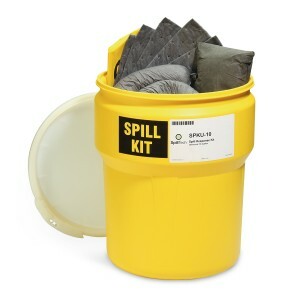 29 CFR 1910.120(j)(1) - Under an OSHA requirement, "DOT-specified salvage drums or containers and suitable quantities of proper absorbents shall be kept available and used in areas where spills, leaks, or ruptures may occur." 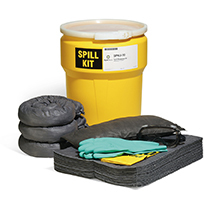 29 CFR 1910.1450(e) - OSHA requires containment and cleanup materials for spills in laboratories to reduce occupational exposure to hazardous chemicals. 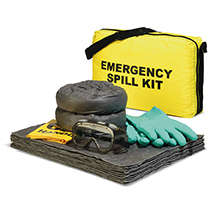 40 CFR 263.30(a) - In the event of a spill, transporters must, "take appropriate immediate action to protect human health and the environment." There are no known notices or warnings for this product.